To obtain sustainable, long-term benefits—particularly for commercially-oriented communities—owning your platform and the updates, changes and features it comprises is absolutely the route to follow. But how, then, can you drive member growth on your own terms? A common myth when it comes to launching a branded online community is that you need to launch with a big bang. But experience shows that this is really not the most sensible approach—though you may see a larger number of initial members, you’ll struggle to maintain engagement in the long-term and your community could die a disappointing death! The reality is that your community needs to be successful on a small scale before it can work well with a larger audience. As long as your community concept is interesting and engaging enough for your initial founding members to truly get involved, you can rest assured that your community will grow successfully. But it’s important to make it as easy as possible for your customers and prospects to become community members—this should be a process that is clearly laid out for them. Keep in mind that before a person can engage in the community, they need to learn about your community, they need to be convinced that they can gain something from visiting your community, and then they need to be persuaded that joining the community is a good idea. So with that in mind, what actions should you take to grow your community as fast as possible, without compromising its sustainability or integrity? Let’s look at the three basic steps of acquiring community members: reaching out, connecting and motivating. In other words, how do you make people aware of your community and—most importantly—aware of what they can gain from visiting and becoming a member? This first step entails getting the word out about your community and creating awareness. Creating awareness involves using different communication channels and different messages. Well, because not every potential member is active on the same channels. People tend to have a preference. Some people are more active on Facebook and follow your company’s Facebook page, whilst some spend their free time scrolling through Instagram. Others are more likely to visit your company’s support page instead—especially those who face technical issues. And let’s not forget the potential members who will actually become aware of your community through their Google searches—which is why having content that search engines love is also a fundamental aspect of your long term acquisition strategy. 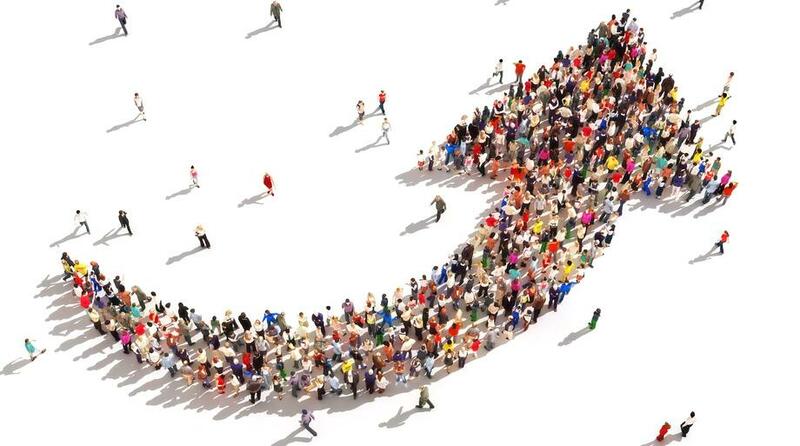 One thing to realize about community traffic is that the source of the traffic matters. Traffic coming through social media tends to enjoy a lower bounce rate than traffic from organic searches, and traffic sent from website integrations such as embeddable widgets tends to result in visitors who spend a longer time on the site. What this data tells us is that there is a relationship between channel usage and member motivation. People who are fans of your Facebook page are likely to be motivated in a different way from the people who receive your email newsletter, or from those who find your community through your website’s support page. The most common motivation is functional. People are motivated by their need for information. This may be because they require support or because they are looking for reviews and customer opinions on your products and services. Next up are those who have a motivation to participate. People want to participate because they consider themselves experts about your products. We call this motivation self-efficacy. For example, someone who can tell me everything I need to know about how to configure and optimize my iPhone would have high self efficacy about iPhones or perhaps mobile phones in general. Finally, there is belonging. People can be motivated because they want to meet peers that share similar experiences or circumstances. This last motivation is often related to the emotional connection that people can experience with a brand. For instance, if you’re a fan of Nike and their “Just do it” slogan—because you have a ‘Just do it’ attitude too—then the main reason for you to join an online Nike community will likely be the sense of belonging you feel to the brand and the connection you share with people who love the brand as much as you do. So keeping these three fundamental motivations in mind, the ‘connecting’ step of growing your community, then, is all about creating relevant, persuasive and timely communications. In a nutshell: create communications that are as relevant as possible for your specific audiences. Don’t give in to the temptation of trying to talk to everyone at the same time. Let’s imagine you want to use your CRM or email platform to send a newsletter that creates awareness about your community and the benefits of joining. If your audience is related to your customer base, then it should already be segmented - for example, by different customer personas. Let’s imagine you have three customer personas. In this case, you should be creating three versions of your newsletter, with three distinct messages, rather than sending a generic version to the entirety of your mailing list. Our own analysis tells us that, in most cases, relevance is more important than reach. Click through rates can be four or five times higher in communications that are aimed at specific customer segments or buyer personas. So if you’re going to choose between reaching one million people with a generic message or 200,000 with a targeted message, you’re much more likely to get better results with the targeted approach, even if your reach is substantially smaller. Connecting with potential community members through social media and direct email campaigns requires your messaging to be direct and to provide a clear signal for people to visit your community. Additionally, once you’ve convinced them to visit, people must also be able to find an obvious and compelling reason to join your community. They should focus on a single message. This means that even if people can benefit in many ways from joining your community, every communication you create for a specific audience should focus on one message. They should always have a clear call-to-action. If you are creating a social media post about your community it should always provide clear guidance on what you want people to do. It may be to “visit your community”, to “ask a question” or to “share something,” but the bottom line is that communications containing clear CTAs will deliver higher conversion rates. They should be appropriate for the delivery channel. If you are creating an integration in your support page, for instance, the messaging you use in this specific integration needs to relate to where the visitor is at that moment—this matters. Being timely is key to connecting effectively, because a thorough understanding of context and an ability to respond with immediacy will positively affect the results of your communications. People use each channel of communication with specific needs and expectations in mind. They also use some channels more than others, as we discussed above. Both of these elements comprise a context that you should be aware of.Timely communications involve being aware of which content performs well through each channel, and adding a layer of context to it. For example: If you know that the most visited part of your support page is the FAQ section, then a timely message would let FAQ visitors know that your community contains an even greater number of FAQs—making sure to highlight keywords and any user-generated content. Creating relevant, persuasive and timely communications about the benefits of joining your community will help you to effectively connect with potential users. The more effectively your communications connect, the better your acquisition channels will perform. 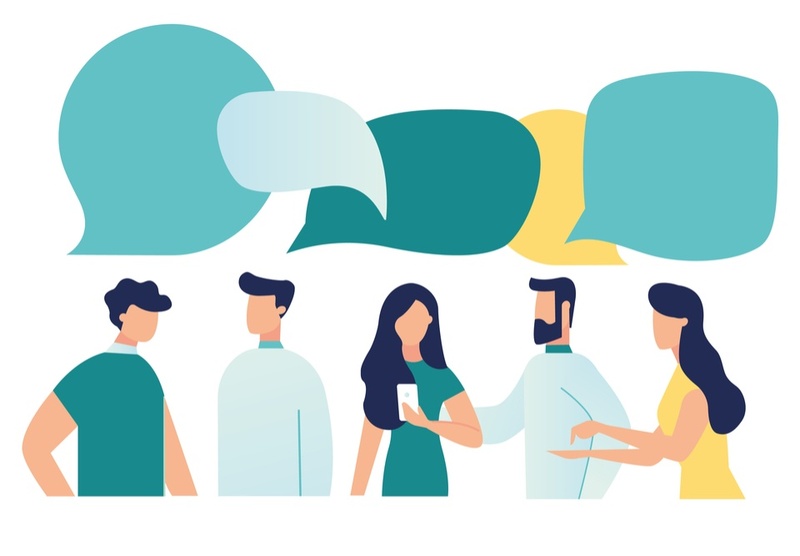 For more ideas on how to communicate effectively with your community members, check out The Ultimate Guide to Community Management—yours to download today. Motivating people to join and participate in your community is key to community success. What this really comes down to is consistently making clear to new and potential members the benefits of actively participating in your community. Use this list as inspiration to build your own list of ‘member benefits’. Use these reasons across your different communications messages. Having a clear purpose behind each communication will also allow you to take new users directly to a relevant topic or category—increasing your activation results and increasing the size and liveliness quickly yet sustainably! Looking for more community management tips and tricks? You’re in the perfect place! 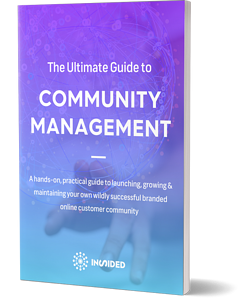 Download your free copy of The Ultimate Guide to Community Management—a hands-on, practical guide to launching, growing & maintaining your own wildly successful branded online customer community.